On a spring Sunday in 30 A.D. (est), the city of Jerusalem was crowded with pilgrims who had come for the annual Passover celebration. Jesus, who had been traveling through the towns and villages of Palestine was also heading to Jerusalem. He preached about the kingdom of God and healed the sick wherever He went, something that was not lost on those gathering for Passover. The day arrived for Jesus to claim He was the Savior God promised to the Jewish people … the Messiah. Jesus also knew His time was almost finished and warned His disciples that He would soon be put to death, but after three days He would rise again. Jesus told two of His disciples to bring a donkey that would be waiting in a nearby village. When they brought it to Him, Jesus rode into Jerusalem on the donkey. Crowds of people spread their coats on the ground in front of Him and waved palm branches as a sign of victory. The people shouted, “Hosanna! Blessed is the one who comes in the name of the Lord – the King of Israel!” Only a king would be greeted this way (2 Kings 9:13). People expected their King, their Messiah, to be a great political and military leader … someone who would free them from the tyranny of the Roman Empire. They had trouble grasping the kingdom of God is not of this world … not unlike many today. 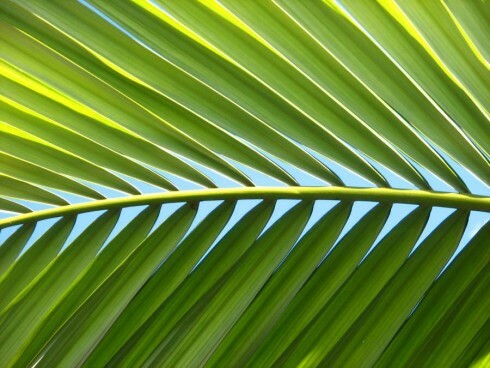 This is the celebration of Palm Sunday.